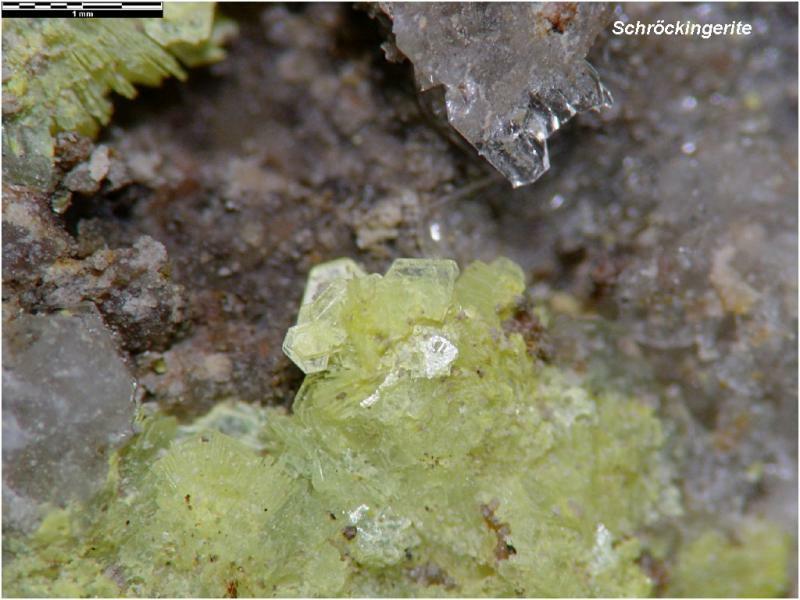 Comments: Pale greenish-yellow, platy schröckingerite on matrix. Location: Jack Daniels No. 1 Mine, Cameron District, Coconino County, Arizona, USA.